In Europe, the Falsified Medicines Directive (FMD) is defining new traceability requirements for prescription drugs and over the counter medicines that may be subject to counterfeiting. Coming into force in 2018, the FMD addresses the very real threat of counterfeit drugs to public health and safety as falsifications become more sophisticated. Counterfeiting in the pharmaceutical industry is also of concern in South Africa for local and export companies alike. It is not simply a case of taking money away from licensed manufacturers, as falsified medicines may contain active ingredients that are of bad quality or in the wrong dosage. Without proper evaluation of the quality, safety and efficacy, such counterfeit drugs could represent a genuine health hazard. 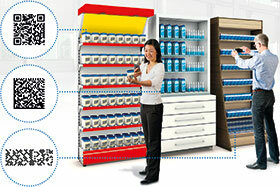 The FMD imposes a requirement for item-level serialisation, whereby individual packs of medicines are marked with a unique, machine-readable identifier that will provide traceability from point of sale all the way through the manufacturing process, so that the authenticity of that medicine can be checked anywhere in the supply chain. While the FMD specifically tackles the manufacture and retail of pharmaceutical products, the pressure on medical device and food and beverage manufacturers is no less real. This means there is a requirement for manufacturers in all these industries to ensure the ability to trace individual products and batches – not only through their own manufacturing processes, but right through the whole supply chain to the consumer. It is not enough that this traceability be managed internally. Product data must be uploaded to a national or international database where product IDs can be held and verified as required. While it has long been required practice to print machine-readable identification coding – barcodes, 2D code – onto packaging to deliver some degree of traceability, the stringent requirements of the FMD for serialisation presents two key challenges for manufacturers. The first is to look at how they manage data internally, with supply chain partners and with consumer-oriented servers. The second is to look at how they will need to change production hardware and processes. Two main approaches to meeting these new demands in terms of data management and production processes have emerged: the single system point-to-point solution, and the flexible layer solution. This is a ready to use system that fulfils all requirements from printing and inspection to data handling and exchange with the supply chain and government servers. However, it lacks the flexibility to change as production lines evolve. While this solution addresses the requirement for serialised data, other FMD required inspection tasks such as tamper-evident seals or existing quality control measures are not addressed. Additional inspection systems or specialised sensors are needed, representing a doubling of resources. This alternative solution separates the data/content-handling aspects from the hardware considerations in the production line. It works towards an open structure with defined interfaces between the different solution levels. The goal is to provide the freedom to select the printers, serialisation software, ERP/master data environment and to integrate these into existing IT and machine environments. The system is highly flexible, meaning that users can readily adapt to changes and new demands on the production line. Importantly, existing inspection systems and tasks can be easily merged with the new serialisation solution, avoiding double handling issues with changeovers and changes in multiple inspection systems in the line. Omron’s expertise not only in machine automation, but also in vision systems technology, makes it ideally placed to advise and assist in implementing serialisation systems. For example, Omron’s FH vision technology can provide cutting edge quality inspection and code verification. FH vision implementation not only supports serialised code integration, but also other various inspection tasks, all set up in a single system that is accessible via one interface. Adding or modifying inspection tasks, as well as ensuring compliance management, user training and maintenance, are all significantly simplified. As an integral part of Omron’s Sysmac automation platform, it allows data management integration into various scada, MES and ERP solutions, as well as global compliance management concepts to support serialisation implementation throughout the supply chain. With all the changes to packaging designs and additional inspection tasks, the maintenance, training and documentation demand for multiple inspection systems in the same production line is expected to be a challenging task. In this context the advantages of the flexible layer solution for serialisation will far outweigh the initial preserved advantages of the seemingly easier end-to-end solution. Omron and Cisco collaborates to deliver reliable performance under extreme conditions.